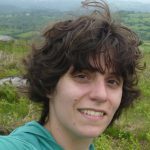 Renata completed a BSc in applied mathematics (Federal University of Rio de Janeiro) and a MSc in statistics (University of Sao Paulo), before moving to the UK to pursue a PhD at the University of Southampton. Based in the School of Ocean and Earth Sciences, her thesis focused mainly on time-series analysis and statistical forecasting models of plankton populations, investigating recent past trends in plankton abundance in relation to changes in climate. After completing her degree, she became a research associate statistician at the Centre for Cancer Genetic Epidemiology (CCGE) of the University of Cambridge, where she works with the validation of models for breast cancer risk prediction. Current research interests include the development and validation of statistical models for breast cancer risk prediction, survival analysis models and statistical forecasting.